A 2006 Vintage Champagne Grand Cru composed of 50% Chardonnay from the Cote des Blancs and 50% Pinot Noir from the Montagne de Reims and elabored by Manuel Janisson, a fourth generation of Champagne growers. The color is pale gold, an explosion of very fine bubbles. A Champagne of a rich complexity with a final of herbs and spices. 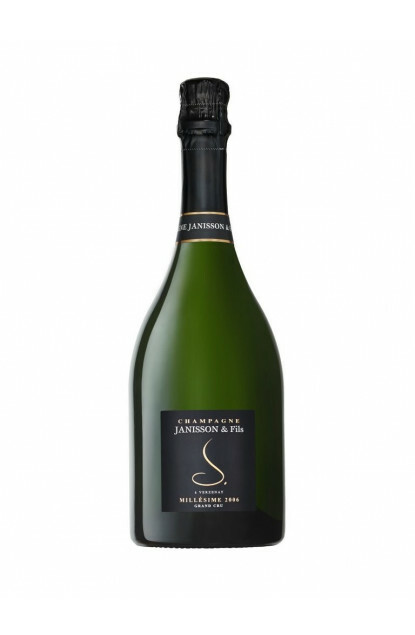 A well balanced Champagne Grand Cru which fits very well with poached seafood, grilled fish or grilled Mediterranean style meats.